Smartphones subscriptions in India are expected to reach one billion by 2024 and the total mobile data traffic per month in the country would grow four times by that time, according to an Ericsson report on Tuesday. Smartphone subscriptions in the country will grow at a compound annual growth rate (CAGR) of 10%, whereas the total mobile subscriptions in India are expected to grow at CAGR of three per cent from about 1.2 billion in 2018 to 1.42 billion in 2024, said the latest edition of Ericsson Mobility Report. Globally, the number of smartphone subscriptions is forecast to reach 7.2 billion in 2024. India also saw the second-highest number of net mobile subscription additions by a country in the third quarter of 2018, with the addition of 31 million mobile subscriptions. Globally, the third quarter of 2018 saw an addition of 120 million new subscriptions, with China adding 37 million and Indonesia adding 13 million new subscriptions. Mobile data traffic per month in India will grow from three exabyte (EB) in 2018 to 12 EB by 2024, according to the report. One exabyte is equal to a billion gigabytes. Video will continue to drive data usage and monthly data consumption per smartphone will increase from 6.8 gigabytes (GB) in 2018 to 15 GB by 2024 growing at CAGR of 14%. “LTE rollouts in India will continue and it is expected to be the most dominant access technology by 2024 accounting for nearly 81% of all mobile subscriptions in India compared to 30% in 2018,” Nitin Bansal, Head of Ericsson India and Head of Network Solutions, South East Asia, Oceania and India said in a statement. The Mobility report also projects that 5G will reach more than 40% global population coverage and 1.5 billion subscriptions for enhanced mobile broadband by the end of 2024. 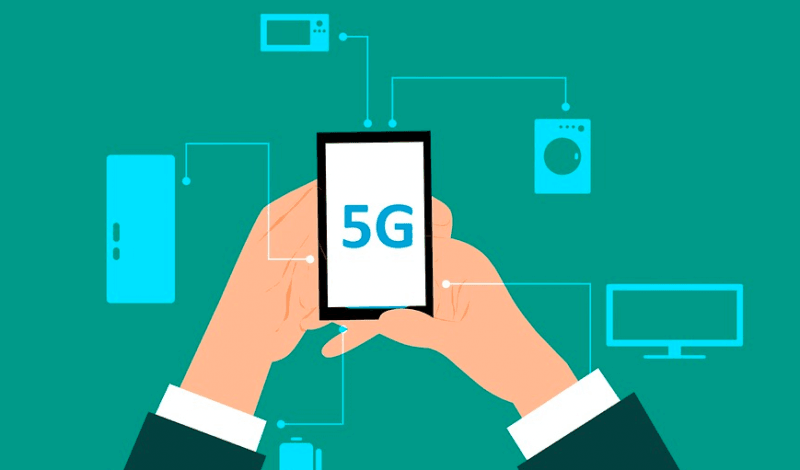 This will make 5G the fastest generation of cellular technology to be rolled out on a global scale, according to the report. Key drivers for 5G deployment include increased network capacity, lower cost per gigabyte and new use case requirements. North America and north-east Asia are expected to lead the 5G uptake. In North America, 5G subscriptions are forecast to account for 55% of mobile subscriptions by the end of 2024. In north-east Asia, the corresponding forecast figure is more than 43%. In western Europe, 5G is forecast to account for some 30% of mobile subscriptions in the region by the end of 2024. Globally, mobile data traffic in Q3 2018 grew close to 79% year-on-year, which is the highest rate since 2013, the report said. Ericsson, sad vodafone idea will not see 5G in india coz it will b sold out to airtel or jio. Airtel Vodafone and Idea are all going to go. It might be in 2024 or it might be in 2028. They’re all going after all. They won’t be able to sustain against the mighty Jio.